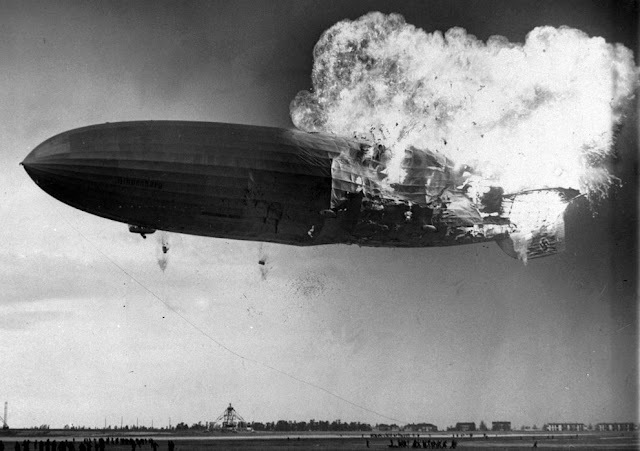 May 6, 1937: On this day, the unforgetable recorded explosion of dirigible, Hindenburgh at Lakehurst,NJ was broadcast coast to coast by NBC Red and NBC Blue network from New York City. That event was reported by NBC's broadcaster, Herbert Morrison. Herbert Morrison's eyewitness report of the Hindenburg Disaster from the actual site of the disaster was the most famous broadcast of that event. His report was actually aired the day after the event took place. One thing that was well-remembered about his report was his phrase "Oh, the humanity!" which became a part of the popular culture back then. His very passionate reporting, along with the breathtaking footage of the incident, caused the public and other industries to lose their faith in huge passenger airships. Hindenburgh Disaster recordings can be heard on Old Time Radio's Great Moments Collection.